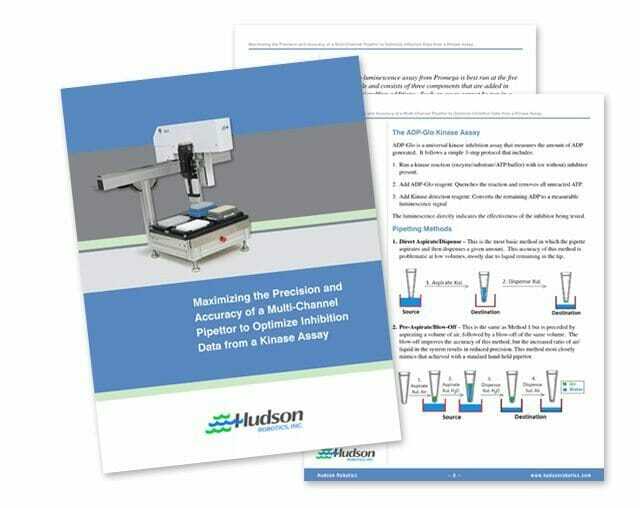 This project entails a white paper promotion created for Hudson Robotics as part of their ongoing search engine optimization that we help them with. Hudson Robotics is a leading manufacturer of laboratory automation robotics. They are headquartered in Springfield, NJ and were established in 1983. Hudson wanted to add a content marketing element to their SEO program. Their Chief Scientist agreed to write a 5-page white paper which we edited and then enhanced with a custom design that matched their brand and included illustrations. We also helped promote the white paper in social media, on their website, and we also wrote and distributed a press release.